The construction of the Joure Intersection has resulted in a huge downturn in the number of accidents on the adjacent sections of the A6 and A7 motorways. Over the past few years, the former Joure Interchange was replaced by a grade-separated intersection. The new junction was put into service at the end of 2017. The effect on road safety has been huge. The number of accidents on the affected sections of road fell by 80% from an average of 100 per year in the period 2010 - 2016 to just 19 in 2018. In the fourth quarter of 2018, the arrival times for IM recovery operators were slightly higher than the figures achieved in the previous quarters. 23,703 IM recovery operations were undertaken with an average arrival time of 13:37 minutes. Corrected for delays as a result of congestion, the average figure was 11:51 minutes. During the first three quarters of the year, these averages had amounted to 13:21 minutes and (following correction) at 11:43 minutes, respectively. In the fourth quarter, arrival times are often longer than in the rest of the year as a result of heavy road use. The fourth quarter of 2018 was the busiest ever, but the rise as compared with previous periods was relatively small: just 3% above the figure for the third quarter and 4% above the figure for the fourth quarter in 2017. The number of accidents on IM roads fell by 4% in 2018. IM recovery operators were called out to 25,545 accidents, as compared with a total of 26,726 in 2017. This is the first fall since 2013 when Stichting IMN dealt with 20,760 accidents. This downturn was reflected almost across the entire country. The number of accidents rose slightly only on the IM roads in the Provinces of Gelderland and Limburg. In 2018, the Hague-bound carriageway of the A4 motorway at Leiderdorp was the most dangerous section of motorway in the Netherlands. Between hectometre markers 33.0 and 34.0, Stichting IMN dealt with 52 accidents, a rise of 60% as compared to 2017, twice as many as in 2015 and 2016, and six times as many as in the period 2010 - 2014. 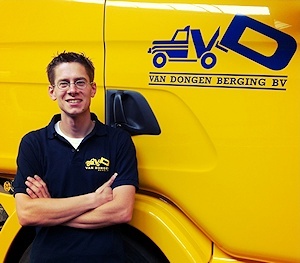 The IM recovery operator responsible in the area is Vreugdenhil Berging based in Den Hoorn. Despite an all-consuming fire, the activities of Kooijman Gorinchem Berging & Transport were not halted for a single moment. Shortly after midnight on 8 November, fire broke out in the company storage warehouse and offices on the Marconiweg in Gorinchem. 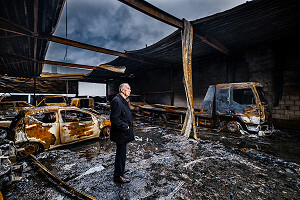 When founder Arie Kooijman (84) and his son Gert arrived at the scene, thirty minutes later, it was clear that no part of the building could be saved. Since the start of this month, IM recovery operators have been able to send electronic safety warnings to car drivers. Recovery drivers at work on the road can pass on a warning notice via an app on their smartphone. That notice is then transmitted to road users as a safety warning via the traffic information system. This way, road users are informed of approaching hazards, before they reach the incident location. During the third quarter, IM recovery operators carried out 17,588 breakdown removals, 35% more than in the same quarter in 2017. One cause of the rise was the hot weather. 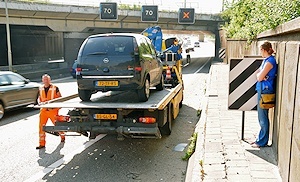 On hot days, during the daytime, Rijkswaterstaat aims to have all broken-down vehicles removed from the road. In particular in July, this led to an extremely high workload for IM recovery operators. The Stichting IMN has decided to extend the approval of the Transport Academy as training organisation for IM recovery operators. During the month just ended, the training course was the subject of an intensive audit. Michel de Korte of Stichting IMN learned all about the structure of the training and the course material used. 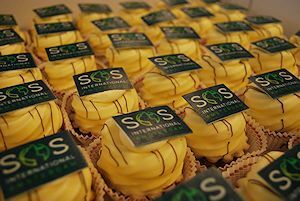 From 9 June 2019 onwards, SOS International (SOS) will become the new operator for the National Central Reporting Point (LCM) of Stichting IMN. For the past few months, the operation of the LCM has been the subject of a tendering procedure. SOS was selected as winner of that procedure. In 2015 and 2016, SOS was also LCM operator. 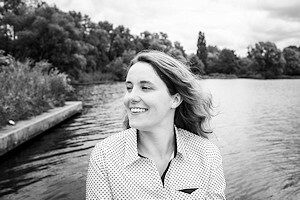 From 1 October 2018 onwards, Jenny Nyklicek-ten Berge will be the new IM coordinator of Stichting IMN. She will succeed Annelies Bogaards who is due to start a master's degree in Education in Languages and Cultural Sciences, in September. On behalf of Stichting IMN, Jenny will maintain contacts with road managers, the police, emergency response centres and recovery companies. She will also provide support to the secretariat of Stichting IMN. In the second quarter of 2018, IM recovery operators were deployed on 1,206 occasions as backup security for their own work. This was twice as often as in the previous quarter. This rise coincided with a quarter in which recovery companies achieved record-breaking workloads. The National Central Reporting Point of the Stichting IMN processed 29,106 incident reports on trunk roads, 23% more than in the same quarter in 2017. This growth was caused by a huge rise in the number of breakdown removals: from 12,947 last year to 16,645 this year (plus 30%). IM recovery operators dealt with 5,726 accidents, 2% more than in the spring of 2017. In only 15 districts was an appeal submitted against the initial awarding decisions in the framework of the tendering procedure for recovery agreements for the contract period 2019 - 2022. Appeals have been submitted in six districts awarded to Wolves Autoberging in Gelderland and Overijssel and in nine districts in Zuid-Holland and Noord-Brabant where Takel- en BergingsCompany Quartel came out on top. In all other 199 districts, the previously announced awarding decision has now been made definitive. Today, Stichting IMN announced the results of the tendering procedure for recovery agreements for the contract period 2019 - 2022. All tendering parties have been informed in writing. In most districts, a definitive awarding decision was taken because only one tender was received. In districts with multiple tenders, an initial awarding decision was announced, dependent on the outcome of possible appeal procedures. Today, Stichting IMN will be publishing the Official Tender Report for the public tendering procedure for recovery agreements for the contract period 2019 - 2022. 329 tenders have been received for 212 districts. 69 different recovery companies or combinations of recovery companies participated in the tendering procedure. Rijkswaterstaat has decided to issue an order for standby services by recovery operators at twenty locations alongside Dutch motorways. This was announced today by Stichting IMN in its Second Summary of Additional Information and Changes relative to the tendering procedure for recovery activities on IM roads for the contract period 2019 - 2022. The decision follows on from a statement by the Minister of Infrastructure and Water Management, C. van Nieuwenhuizen-Wijbenga, in January of this year. IM recovery operators scored well during the first quarter of 2018. 20,661 recovery operations were undertaken with an average arrival time of 13:14 minutes (11:37 minutes following deduction of delays as a result of congestion). This brings arrival times back to the very high level achieved during the first three quarters of 2017. This excellent performance was delivered despite a major increase in workload. The total number of IM orders, including wasted journeys, was 22% higher in the first three months of this year than in 2017. With 10,395 IM orders, March was in fact the busiest month ever. 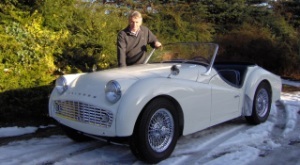 Particularly the cold snap at the start of the month resulted in much work. Summary of Additional Information and Changes 2019 – 2022 relating to the tendering procedure for recovery agreements for the contract period 2019 - 2022. The Summary deals with questions submitted in response to the tendering documents published on 12 April 2018. Stichting IMN has today published the documents relating to the tendering procedure for recovery agreements for the contract period 2019 - 2022. The purpose of the tendering procedure is to contract qualified parties for the recovery of passenger vehicles on main roads in the Netherlands. 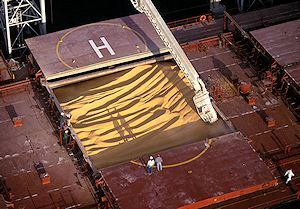 An announcement of the tendering procedure was placed on the tendering platform Tenderned. In 2017, IM recovery operators undertook more than 80,000 recovery orders, almost 8,000 more than in the previous year. On the other hand, fewer security vehicles were deployed. Recovery operators were called out 2,088 times to provide security for their own activities, fewer than in 2016. Stichting IMN has therefore concluded that the number of incidents in which work was undertaken without the prescribed security measures rose further, in 2017. In the fourth quarter of last year, IM recovery operators carried out 22,461 recovery operations on main roads. This was 15% more than in the previous quarter and 25% more than in the fourth quarter of 2016. Despite this extreme workload, the average arrival time for all recoveries in the fourth quarter, following correction for delays as a result of congestion was just 11:44 minutes. This was just 12 seconds (2%) more than in the previous period. The gross arrival time without correction was 13:35 minutes, 24 seconds (4%) more than in the rest of the year. The eastern carriageway of the Van Brienenoord Bridge at the Feijenoord slip road was the most dangerous section of motorway in 2017. Between hectometre markers 21.0 and 22.0 on the left-hand carriageway of the A16 motorway, a total of 48 accidents were recorded. Last year's frontrunner, the northern carriageway of the A12 motorway towards The Hague, at Gouda, finished second this year. An unexpected newcomer in this year's list of dangerous road sections was the A1 motorway between the Palmpol petrol station and the turnoff onto the A30. Last year, this road section saw 42 accidents, almost three times as many as in previous years. On 23 December, the 100,000th IM recovery in 2017 was carried out by Vorgers Autoberging in Borne. 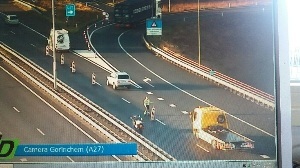 The operation involved a breakdown removal at the Azelo motorway junction between Almelo and Hengelo. Vorgers received report IM17100000NLD at 15:56 hours. At precisely the same time in 2016, the number of recoveries carried out totalled 88,054. During the course of 2018, reports from the National Central Reporting Point (LCM) on the underlying road network and recovery orders from the Central Truck Reporting Point (CMV) will be passed on to recovery operators via the Electronic Incident Management Reporting System (EMI). As a result, the EMI will be the most important electronic instrument for the issuing of orders to recovery companies in the Netherlands. The number of recovery operations on IM roads once again reached a record high in the third quarter of 2017. IM recovery operators were called out 19,520 times in the quarter, an average of 212 recoveries a day. This figure is 4% higher than the highpoint reached in the last quarter, and 9% higher than the total for the third quarter in 2016. The increased workload had no influence on the performance of the IM network. Arrival times remained practically unchanged as compared with the excellent performance achieved in the previous quarter. The average arrival time for all recoveries was 13:12 minutes (11:34 minutes following correction for delays due to congestion). Over the past twelve months, recovery companies of Stichting IMN were called out to 25,963 accidents on main roads; 27% more than four years ago. The rise was recorded in all parts of the country, but highest in the Province of Gelderland. 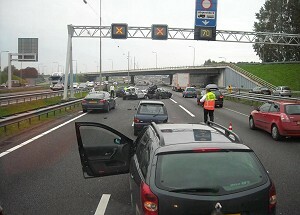 On the A12 above Arnhem and the A73 near Nijmegen, numbers of road accidents rose by 91% and 131%, respectively. 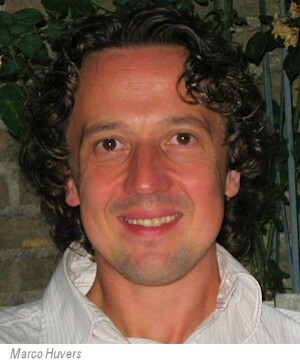 Ryan Florijn (44) was recently elected new chairman of Stichting IMN. He will succeed Lex Mentink who stepped down from the position last month. Just like his predecessor, Ryan Florijn is director of Eurocross Assistance, a position to which he was appointed on 6 September this year. On 11 September 2017, Lex Mentink stepped down as chairman of Stichting IMN. 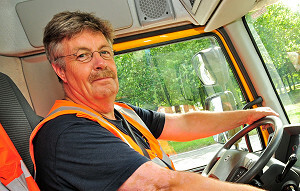 He occupied the position for twelve years, and played an important role in stabilising the organisation and professionalising incident management on the Dutch main roads. Mentink was appointed Director of Customer Contact at Zilveren Kruis insurers on 1 June 2017. Starting on 1 October 2017, Bergingsdienst.nl will be returning as IM recovery operator on the motorways to the north of Eindhoven. 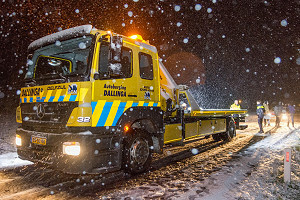 The company will be responsible for recovery work on the A2 between Boxtel and Eindhoven, the A58 between Tilburg and Eindhoven and the A50 at Son en Breugel. In the contract period 2013 - 2016, Bergingsdienst.nl was one of the best performing recovery companies , but was ousted by Logicx Berging, in the tendering procedure for the current contract period. Bergingsdienst.nl has been reinstated due to the inability of Logicx to comply with the required arrival times in district NB320. In the past few months Stichting IMN has visited 22 IM recovery companies to thank them for their commitment and performance in the first year of the current contract term. These are recovery companies that consistently performed well above the contractually-agreed norm in that period. In the second quarter of 2017 more recovery operations than ever before were performed on IM roads. The 65 contracted IM recovery companies were called upon on 18,989 occasions, 11% more than in the second quarter of 2016. The average arrival time for these assignments was 13:18 minutes, comparable to the record performance in the first quarter. If the figures are corrected for the delay faced by the recovery companies as a result of traffic congestion, the national average is 11:36 minutes. Since 1 May 2017, De Driesprong in Leunen has been IM recovery operator on the A73 motorway and the provincial roads around Venray. This represents the return of one of the best performing IM recovery companies from the 2013 - 2016 contract period to the national network of Stichting IMN. The change is the consequence of the decision by Wolves Berging to withdraw from a number of districts in northern Limburg. In the first quarter of 2017, IM recovery operators achieved the best arrival times since 2012. 18,229 recoveries were carried out, with an average arrival time of 13:13 minutes. This was three-quarters of a minute faster than in the previous quarter. The only quarter in which a better performance was achieved was the second quarter of 2012, when 15,605 recovery orders were completed within an average arrival time of 13:04 minutes. Small recovery companies are the eye-catchers on the IM network that went into action on 1 April 2016. This is reflected by an analysis of the arrival times achieved by IM recovery operators in the final three quarters of last year. The investigation focused on those companies that succeeded in operating well above the standard, without interruption, on the largest section of IM roads. BCF in Friesland and Takel- en Bergingsbedrijf Poort in Groningen came out as frontrunners. These companies managed to achieve their performance on an IM road section with a total length of 162 and 144 kilometres, respectively. Since 1 March this year, Hooikammer Autoberging has been the IM recovery operator on the A28 and A32 motorways between Staphorst and Wolvega. 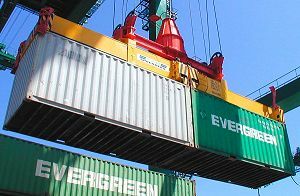 The same company was active in this area in the past, and at that time established a reputation as one of the country's fastest recovery operators. The return of Hooikammer results from the decision by Wolves Berging to withdraw from Friesland and the surrounding area. 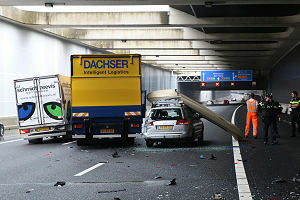 The northern carriageway of the A12 near Gouda was the most dangerous section of motorway in the Netherlands, in 2016. 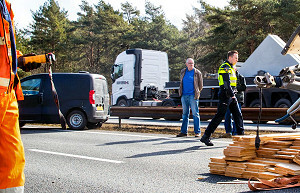 Between hectometre markers 27.0 and 28.9 on the A12 Left, a total of 97 accidents were reported to the National Central Reporting Point (LCM) of the Stichting IMN, during the course of the year. With these figures, this section of road occupies first and fourth positions in the top 10 of most dangerous road sections in the country. 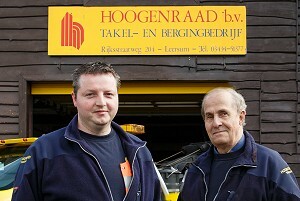 The local IM recovery operator is BCU Bodegraven. The list of most dangerous road sections was also headed by the same stretch of motorway, in 2012. In the fourth quarter of 2016, IM recovery operators achieved good arrival times. The clear leaders were the recovery operators in Friesland, with a particularly excellent performance by BCF Mobiliteit, CL Int. Berging and Autoschade Van Kammen. Across the whole country, 18,961 recoveries were registered with an average arrival time of 12:12 minutes, following correction for delays due to congestion. This average was 22 seconds faster than in the third quarter. The average gross arrival time was 14:05 minutes. 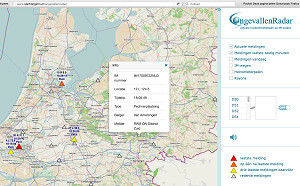 Starting from today, the accident radar operated by Stichting IMN has become faster and more informative. The latest incidents appear almost immediately on the map following reporting to Stichting IMN. This response time is more than a minute faster than in the past. It is also now possible to retrieve further details of every report, by clicking on the incident icon. In 2016, the National Central Reporting Point (LCM) of Stichting IMN handled 25,066 accident reports on IM roads, 7% more than in 2015 and 21% more than in 2013. The number of accident reports on trunk roads had fallen over several years, reaching an all-time low of 20,760 in 2013. The growth over the past few years appears to be the consequence of the growing use of mobile telephones while driving. Since 29 November, BRL Leiden has been the new IM recovery operator in the Wassenaar region. This was an important but certainly not the only change to the recovery network of the Stichting IMN, in the closing days of 2016. 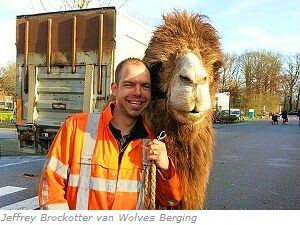 Over the past few weeks, the recovery world was surprised by the bankruptcy of Bergingscentrale Bollenstreek, the decision by Wolves Berging to withdraw from Friesland, and the return of Takel-, Berging- en Transportbedrijf A. Barendregt to the A15 and A16 motorways near Ridderkerk. In 15 districts, that together generate a full 9% of the national volume, Stichting IMN was forced to contract a new IM recovery operator. 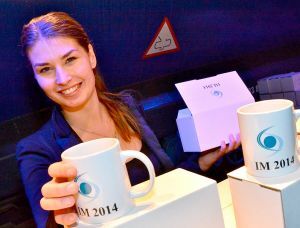 For three years, Sarah had been the face of the Stichting IMN. She attended consultation sessions on incident management, dealt with complaints and maintained contacts with recovery companies. She established a reputation as an expert in the field of IM procedures and visited police control rooms and traffic control centres to explain those procedures to the officers on duty. From 1 January 2017 onwards, Sarah will be employed full-time as senior staff member of the National Central Reporting Point of Stichting IMN. From 9 January 2017 onwards, Annelies Breton - Bogaards will be the new IM coordinator of Stichting IMN. 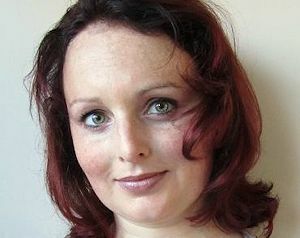 She will be replacing Sarah el Miligi, who is returning to the National Central Reporting Point as senior staff member. On behalf of the Stichting IMN, Annelies will maintain contacts with road managers, police, alarm centres and recovery companies. She will also provide support to the secretariat of the Stichting IMN. In the third quarter of 2016, arrival times for IM recovery operators were longer than in any other quarter since the start of 2013. The quarter was also hallmarked by record-breaking congestion levels. 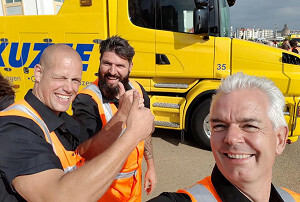 The National Central Reporting Point (LCM) of Stichting IMN received 23,024 incident reports on the trunk road network, making this the busiest quarter ever, with 14% more reports than in the same period in 2015. IM recovery companies were exempted from the closure of the Merwede Bridge to trucks. 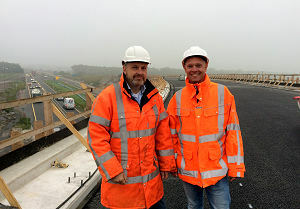 When Co Baars of Automobielbedrijf Kooijman Vianen heard on 11 October that the bridge was closed to all truck traffic, he was worried that the A27 between Gorinchem and Werkendam had effectively become out of bounds for recovery vehicles. 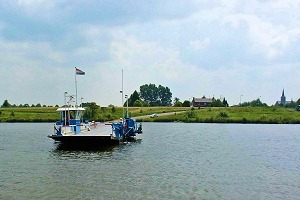 Kooijman is responsible for recovery work on and around the Merwede Bridge. Standby services on the 20 kilometre section of road around the Velser Tunnel have brought about a reduction in incident arrival times of almost ten minutes. Smits Kraan- en Sleepbedrijf from Haarlem achieved an average arrival time of 9:35 minutes between July and September, for a total of 71 recoveries. Over the same period in 2015, the average arrival time had been 19:22 minutes. These figures have not been corrected for delays as a result of congestion. This month, Hoogwout Berging from Oostzaan returned to the main road network around Zaandam, as an IM recovery operator. The IM district in question, NH126, had also been entrusted to Hoogwout during the contract period 2013 - 2016, when the company accumulated 12 honourable mentions. In other words, without a single interruption, in each quarter, the company performed well in excess of the contract standard. 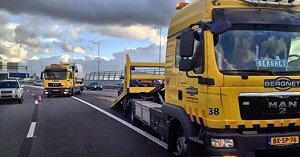 Due to the hot weather, since yesterday, Rijkswaterstaat has ordered all broken-down vehicles to be removed from motorways. It was announced on Tuesday evening that for the duration of the heat wave, a hot weather protocol would be implemented. Broken-down vehicles must be immediately removed from the roadside. Road inspectors hand out water to stranded vehicle owners, and keep themselves cool by wearing a cooldown vest. None of these measures have previously been implemented. Measures apply between 10.00 and 19.00 hours, until further notice. H. Roos Autoberging from Capelle aan den IJssel was among the fastest IM recovery operators in the Netherlands during the second quarter of 2016. 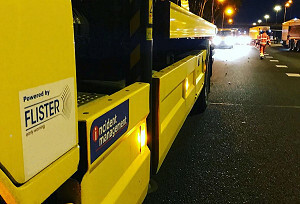 The company carried out eighty recoveries on the A20 motorway and twenty on the N219 trunk road, with an average arrival time of 5:50 minutes (figure corrected for delays as a result of congestion). Only Rhoon-based Takel-, Berging- en Transportbedrijf A. Barendregt was faster, in two districts. In district ZH166, near Rhoon, the average arrival time was 4:37 minutes, and in district ZH175 around Zwijndrecht, the recorded time was 5:49 minutes. The number of incidents on the A4 motorway between Schiphol and Roelofarendsveen has decreased significantly in recent years. This is clear from the overview of incidents on IM roads in the period 2010 - 2015 published today by Stichting Incident Management Nederland. The document shows that the number of traffic incidents on the westbound carriageway of the A4 in the direction of The Hague between the driver location signs 10.0 and 24.9 decreased from 173 in 2010 to 66 in 2015. This is a decrease of more than 60%. The number of collisions on the other half of the road also decreased. 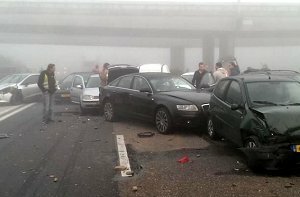 The number of accidents on the A4 at Leiden rose significantly in 2015. Bergingscentrale Bollenstreek, the local contracted incident-management recovery service, dealt with 135 accidents last year between Leiderdorp and Zoeterwoude. This is a 30% rise on 2014, and almost 35% up on 2013. The stretch of motorway in question has been completely reconstructed in the past few years, and was fully opened in October 2014. This morning at ten a.m., after an interruption of fourteen months, the National Central Reporting Point (LCM) of Stichting Incident Management Nederland returned to Allianz Global Assistance (AGA). The first report originated from the Rijkswaterstaat Traffic Control Centre in Helmond, and was received by AGA at 10:01 hours. The report was a request for the removal of a broken-down vehicle on the western carriageway of the A27 motorway above the Bergsche Maas at Hank. The recovery was carried out by Van Egeraat Berging in Oosterhout. On 19 May 2016, at the age of 73 years, Gijsbertus Leonardus Carolus Huffener passed away in his home in Wietmarschen, Germany. He had been ill for a number of months. 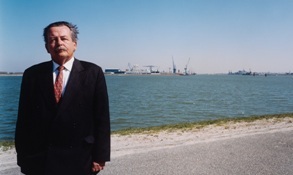 Between 1981 and 2007, Bert Huffener was one of the driving forces behind the professionalisation of the Dutch recovery sector. Over the past months, three big names from the Dutch recovery sector have disappeared from the scene. 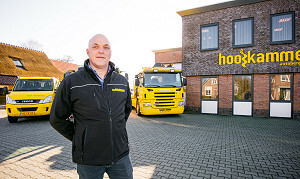 Hoogenraad Transport, the only recovery company in the Netherlands with a Swiss-style warehouse, was taken over in February by De Eerste Arnhemse Wegen- en Sleepdienst Van Amerongen BV. Van Amerongen was in turn taken over on 5 April by the Van Eijck Groep. Finally, on 22 April, it was announced that the activities of Sleep- en Takeldienst Vrolijk were to be taken over by Smits Kraan- en Sleepbedrijf. Tuesday 5 April 2016 BCU-Vreugdenhil has become the largest IM recovery company in the Netherlands. In the new network of IM recovery companies that set to work last Friday, the combined businesses BCU and Vreugdenhil Berging are responsible for sixteen IM work areas in the Provinces of Zuid-Holland and Utrecht. In 2015, these sixteen work areas accounted for 14% of all recoveries on the main road network. Four other recovery companies - Bergnet, Wolves, Logicx and Barendregt - together covered a further 36% of the market. The remaining half of recoveries on the main road network will be shared by 62 mostly smaller recovery companies over the next few years. This afternoon, Bergnet based in Amsterdam was the final IM recovery company in the Netherlands to switch to using the Electronic Incident Management reporting system (EMI). From 1 April onwards, all IM reports will be transmitted to the contracted recovery companies via EMI. The first EMI report was received in 2014 by recovery company A. Barendregt in Rotterdam. The number of accidents on IM roads rose in 2015 for the second successive year. 23,437 accidents were reported to the National Central Reporting Point (LCM) of Stichting Incident Management Nederland, on roads subject to incident management. Of those accidents, 18,182 took place on the main road network, 7% more than in 2014 and the highest number since 2010. The rise in the number of road traffic accidents was matched by a rise in traffic density. The Traffic Information Service (VID) reported a 23% rise in overall congestion volume in 2015. With 16,876 completed recoveries, the fourth quarter of 2015 was the busiest ever in the history of incident management in the Netherlands. It was also the last quarter in which Stichting Incident Management Nederland was able to call in the services of Takel- en Bergingsbedrijf G. Thomas based on the Peter Stuyvesantweg in Oldetrijne. 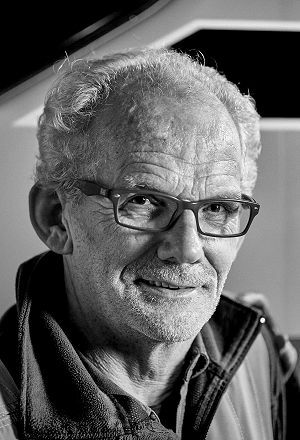 Director Gerrit Thomas has sold his recovery activities, and from 1 February 2016 onwards will be focusing on his garage business. The bend in the A58 motorway at Roosendaal was registered as the most dangerous section of road in the Netherlands, in 2015. Between hectometre markers 94.0 and 94.9 on the right-hand carriageway of the A58 motorway, 55 accidents occurred. The recovery company responsible in this area is Autoberging Kerstens. 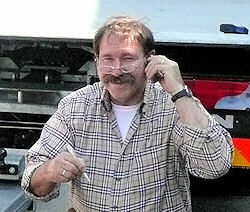 Director Arthur Kerstens blamed the many accidents on the fact that the asphalt on this relatively sharp bend wears quickly, leading to a slippery road surface. The planting in the central reservation also means that the road section is often in shadow, and as a result is damp and dark. The number of accidents on this road section has risen sharply over the past few years, from an average of 21 per year in the period 2010 - 2012 to 32 in 2013 and 43 in 2014. The road was recently resurfaced with special asphalt intended to provide more grip to passing vehicles. On 5 and 6 January, as a result of slippery road conditions on the IM roads in Drenthe and Friesland, 10 times as many accidents were reported as normal. On the five most important IM roads in the area, IM recovery companies swung into action on 73 occasions, between 18.00 hours on 5 January and 24.00 hours on 6 January. During the same period on 8 and 9 December, there were only eight incident call-outs. On 15 and 16 December, numbers were even lower. 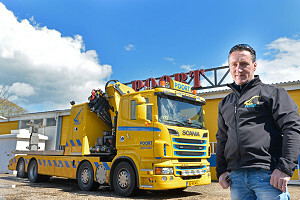 The last IM recovery in 2015 was carried out by Adrie Klomp of Theo Rood Berging en Transport based in Zwaag. The incident in question was an accident on the A7 motorway close to the former headquarters of DSB Bank in Wognum. The report was received at 23.28 hours, by the National Central Reporting Point (LCM). The next reported incident, on the A12 motorway at Bodegraven, was not received until more than an hour later. This, the first recovery of the new year, was carried out by Bergingscentrale Utrecht (BCU). The next few hours, however, proved far busier. The response times of IM recovery companies were higher in the third quarter of 2015 than in previous quarters of contract period 2013 - 2016. The average response time for a total of 15,902 incidents was 14.09 minutes. This was half a minute more than in previous quarters. When delays as a result of congestion are taken into account, the average was 12.27 minutes, similarly half a minute more than usual. The tendering procedure for recovery work on IM roads for the contract period 2016 - 2019 has now been completed. There were 25 recovery districts in which as a consequence of an appeals procedure, to date, no definitive awarding decision had been taken. The Appeals Commission passed its judgement on these appeals on 29 September. All appeals were declared unfounded. The appealing parties were then given twenty days to institute interlocutory proceedings against the judgement. No use was made of this opportunity. Starting today, Stichting Incident Management Nederland is publishing a map showing the most recent incidents on the trunk road system. The map shows all accidents and vehicle recoveries reported to the Stichting Incident Management Nederland's National Central Reporting Point (LCM). On average, this relates to some two hundred incidents every day. Over the past twelve months, new IM roads have been taken into use near Steenbergen, Leeuwarden and Sluiskil. The road builders have now handed over this fresh asphalt to the IM recovery companies active in the areas in question. Stichting Incident Management Nederland this week integrated the new and relocated hectometre markers on these roads in its map. IM recovery companies performed remarkably well in the second quarter of 2015. They dealt with 18,012 reported incidents on trunk roads, 8% more than in the same period in 2014. The average time taken to arrive at the scene of an incident was 13:37 minutes, equalling the record for the contract period 2013 - 2016. In 18 districts, every recovery operation was completed within the standard time of 20 minutes during the day and 25 minutes at night. Two of those districts are currently served by companies that will no longer continue as IM recovery companies after 31 March 2016: Vika Bedrijfswagens (GL235) and Iliohan Borculo (GL248). The tender procedure for the recovery of passenger vehicles on trunk roads for the contract period 2016 - 2019 has been completed for most of the country. In 187 districts, there were no appeals against the initial awarding decisions and the definitive contracts for IM activities during the contract period have now been awarded in those districts. The participants in the tender procedure for those districts were informed of the decisions this week. 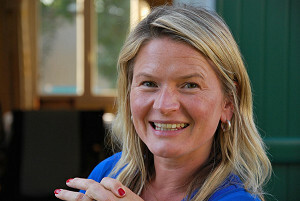 Reitze Anne Ketellapper, the owner and director of Garage- en Bergingsbedrijf R.A. Ketellapper and a local councillor for the municipality of Leeuwarderadeel, died in the Leeuwarden Medical Centre at 3.30 a.m. on Monday 27 July 2015. He was 70 years of age. Reitze Ketellapper was born in Sint Annaparochie, on Friesland's Wadden coast, on 22 October 1944. Today, Stichting Incident Management Nederland announced the initial awarding decisions in the framework of the European tender procedure for recovery agreements for the contract period 2016 - 2019. Participants in the tendering procedure were informed by e-mail about the decision taken in each district. The reports were also sent by post. Today, the registration took place in The Hague in the framework of the European tendering procedure for recovery work on the main road network in the period 2016 - 2019. 88 companies or combinations of companies submitted a total of 431 offers for the 216 work areas to be tendered. An overview of the submitted offers is provided in the written record of the opening of the registrations received. During the first quarter of 2015, the number of incident reports on IM roads was 17% higher than in the same period in 2014. Whereas 15,303 reports were received in the first quarter of 2014, in the quarter just ended the number had risen to 17,988. The growth was registered for all types of reports and all reporting bodies. The number of accidents reported for example rose by 12% to 5,941 while the number of police reports rose by 4% to 6,543. Over the past few years, both figures had previously demonstrated an almost uninterrupted downturn. Biesebos Berging from Ittervoort was taken over on 1 April 2015 by Wolves Berging from Wierden. Biesebos Berging was founded in 1971 as a service station, under the name Autoservice Wim van de Biesebos, in Beesd, in Gelderland. 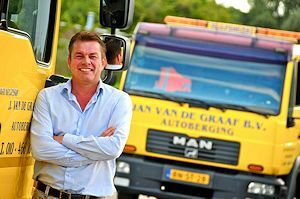 The relocation to Ittervoort in Central Limburg took place in 1979, and in 1987 Wim van de Biesebos purchased his first tow truck. The Stichting Incident Management Nederland today published the tendering documents the tendering procedure for Recovery agreements for the period 1 January 2016 through to 31 March 2019. Any interested parties are called to examine these documents, and participate in the tendering procedure. At 15 seconds before midday, SOS International received the first call-out for Stichting Incident Management Nederland's National Central Reporting Point (LCM). The incident in question was a collision between two cars at the junction of Schapendijk and Buitenhof in Almelo. The call-out came from the Twente police control centre and was taken at SOS by Joke Hendriks. The recovery was carried out by Wolves Berging of Wierden. In 2014, the National Central Reporting Point (LCM) of Stichting Incident Management Nederland received 21,898 reports of accidents involving passenger cars, a rise of 5% as compared to 2013. These figures make 2014 the first year since 2008 in which the number of accidents rose as compared to the previous year. The growth in the number of accidents was probably caused by the increase in traffic volumes. 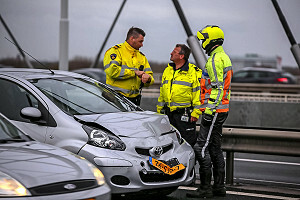 The rise in the number of accidents occurred mainly in the period May to December, and specifically during this period, congestion levels on Dutch main roads also demonstrated a considerable rise, for the first time in years. 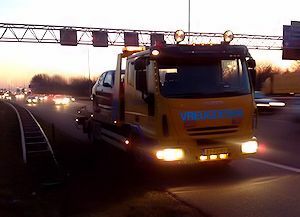 During the fourth quarter of 2014, four recovery companies carried out their final car recovery on the Dutch main road network. Their farewell was in style, with arrival times of well below the twenty-minute target. For Cretier Berging en Transport, the last call-out came on the evening of Thursday 27 November at 20:50 hours. The recovery involved a collision on the A59 motorway near Vlijmen. The turnoff to the RAI on the northern carriageway of the A10 motorway in Amsterdam was the most hazardous section of road in the Netherlands in 2014. In the first nine months of the year, the National Central Reporting Point (LCM) of Stichting Incident Management Nederland received 45 reports of accidents between hectometre markers 17.0 and 17.9 on this road. The two preceding kilometres, from Spaklerweg through to the viaduct over the Amstel river, were barely outperformed by the frontrunner. The new year started with the takeover of nine recovery companies, including seven along the banks of the river Meuse in Limburg and Noord-Brabant. Seven of the newly acquired companies are IM recovery operators, together responsible for recovery work in twelve IM districts. 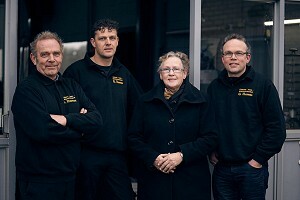 Two of the entrepreneurs who have handed over their company have for years been active as board members in one of the two sector organisations in the recovery sector, namely Marjo Reijs (De Kantsingel) of the Association of Dutch Car Recovery Companies (ABNed) and Jessica Leerentveld of the Association of Recovery and Mobility Specialists (VBM). 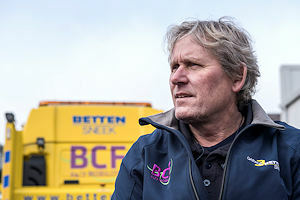 The first IM recovery operation in 2015 was carried out on 1 January at just seven minutes after midnight, by William Breeveld from recovery company Jan van de Graaf jr in Rotterdam. The job involved the recovery of a broken-down vehicle at hectometre marker 34.1 Re on the A20 motorway. In the third quarter of 2014, 14,195 vehicle recoveries were carried out on IM roads, 14% more than in the same quarter in 2013. This seems to mark a definitive end to the downward trend first started in the fourth quarter of 2012. On 1 October 2014, for the seventh time this year, a recovery company changed hands. 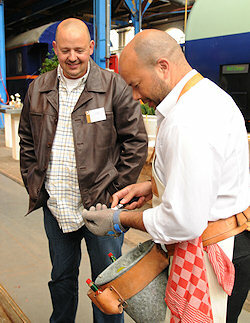 The company in question is Mettler BV based in Schijndel. If we also consider the final months of 2013, the total number of takeovers amounts to nine. In all nine cases, the buyers were other recovery companies. Six of the nine takeovers were the work of just two companies: Van Eijck in Hulten and Bergnet in Amsterdam. On the A58 motorway close to Heinkenszand in Zeeland, one of the largest recovery operations in Dutch history was undertaken yesterday. Between hectometre markers 153.0 and 160.0, a series of multiple car pile-ups occurred on both lanes, at around 7.45 in the morning. 110 passenger vehicles were so seriously damaged in these collisions that they had to be removed by recovery operators. 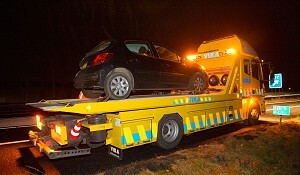 This is the largest number of passenger vehicles towed away in the framework of a single recovery operation since 1997. In that year, recovery operators were required to tow away 165 vehicles on the A9 motorway. 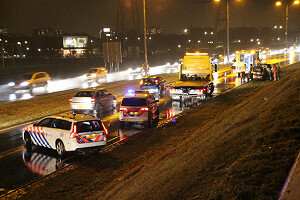 Rijkswaterstaat intends to deploy recovery companies more often for the securing of IM incidents. The processing of incidents on motorways are governed by strict safety regulations. One of those regulations specifies that the location of the incident must be screened from approaching traffic by means of a so-called security vehicle. This is done in order to create a safe zone within which recovery companies, road inspectors and emergency services workers can do their work without interruptions. 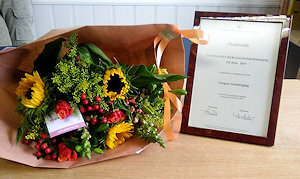 In the spring just ended, IM recovery operators achieved the best performance so far in the contract period 2013 - 2016. The average arrival time was 13:37 minutes, one second faster than the fastest period to date, namely the second quarter of 2013. Corrected for delays due to traffic congestion, the average arrival time was 11:56 minutes. Stichting Incident Management Nederland has decided to approve SGS Systems and Services Certification as a certifying body for recovery companies. Recovery companies wishing to demonstrate their compliance with the quality requirements imposed by IMN can have their situation examined by SGS. Approval of SGS will be effective, immediately. Alongside Dekra, SGS is now the second party approved by Stichting Incident Management Nederland. 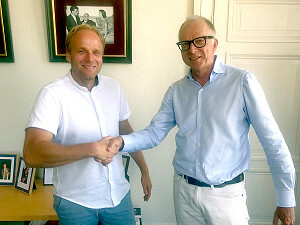 The Stichting Incident Management Nederland has decided to admit Aboma as a certification body for recovery companies. Recovery companies wishing to demonstrate that they comply with the quality requirements imposed by Stichting Incident Management Nederland can have the necessary audit carried out by Aboma. The approval is valid with immediate effect. Alongside Dekra and SGS, Aboma is the third approved certification body for Stichting Incident Management Nederland. The National Central Reporting Point (LCM) of the Stichting Incident Management Nederland will come under the control of SOS International as from 1 April 2015. Stichting Incident Management Nederland took this decision after examining the results of the practical tests taken by SOS which has built a dedicated reporting system for dealing with LCM car recoveries. Using this bespoke tool, SOS successfully dealt with fifty car recovery reports, almost error-free. On 1 April 2016, the boundaries between IM districts are due to be adjusted. The aim of the proposed changes is to achieve a better match between district layout and the location of motorway slip roads. In the new layout, the district boundary extends to a point just beyond where the slip road reaches the main carriageway. This approach will avoid the occurrence of (very) small road sections in districts, that can only be accessed via a long detour. Growing numbers of recovery companies are receiving reports for car recovery as electronic messages on a smartphone or tablet. At present, this affects ten companies who together represent 25% of total national volume. These operators make use of the Electronic Incident Management Reporting System (EMI) developed by Stichting Incident Management Nederland. Recovery companies operating on the Dutch trunk road system were really put through their paces during the first quarter of 2014. The 95 recovery companies contracted to Stichting Incident Management Nederland completed 11,929 recovery operations during the first three months of this year, achieving an average arrival time of 13:43 minutes. Taking account of delays as a consequence of traffic congestion, the response time was in fact 12:04 minutes. After studying the figures, one American traffic expert commented that the Netherlands has 'probably the best car recovery operation in the world'. On 1 April 2014, Sarah el Miligi will be appointed new IM coordinator at Stichting Incident Management Nederland, thereby taking over the position previously occupied by Michel de Korte since 1 July 2009. Michel de Korte will remain available to offer support to Sarah in the implementation of her tasks, until the end of the year. The number of incident reports on trunk roads fell in 2013 by 22%. The National Central Reporting Point (LCM) of Stichting Incident Management Nederland processed 63,747 reports as compared to 81,389 in 2012. The downturn is the consequence of cost savings at Rijkswaterstaat and the reorganisation of the Dutch police. During the fourth quarter, arrival times for IM recovery companies were slightly longer than in the previous quarters. 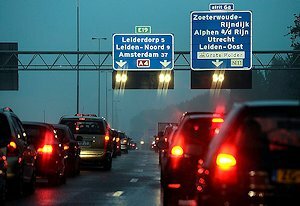 The rise was mainly due to an increase in the number of accidents and the volume of traffic congestion on Dutch roads in the final months of 2013. The Dutch recovery companies active on the motorway network (IM recovery companies) have their operating equipment well in hand. This was reflected by an investigation undertaken on behalf of Stichting Incident Management Nederland among 25 of the country's largest IM recovery companies. These companies together carry out 80% of all car recovery operations on the trunk road network. SOS International ('SOS') will be the new operator of Stichting Incident Management Nederland's National Central Reporting Point (LCM) with effect from 1 April 2015. This is the outcome of the award procedure for the operation of the LCM during the period 2015-2021, organised by Stichting Incident Management Nederland. The contract is subject to the successful completion of a practical test in July 2014. If SOS passes this test, Stichting Incident Management Nederland will make a final award decision shortly afterwards. 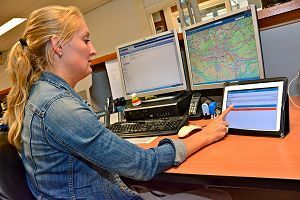 The National Central Reporting Point (LCM) of Stichting Incident Management Nederland is receiving ever fewer accident reports from the police. The number of reports of accidents and other incidents on motorways fell from 28,249 in 2010 to 23,372 in 2012, a fall of 17%. During that same period, the number of accidents on these roads also fell, but by only a few percentage points. The fall in the number of reports affected practically all police regions. The cause of the downturn in report numbers is the police reorganisation. This has led to reduced discipline in the passing on of accident reports. The national network of recovery companies on IM roads performed well in the third quarter of 2013. 12.440 recovery operations were undertaken. The average arrival time was 13:46 minutes. The corrected average for delays as a consequence of congestion was 12:09 minutes. Stichting Incident Management Nederland has decided to create the possibility of allowing new operators in the field of certification of recovery companies and the inspection of recovery vehicles. The decision was taken in response to the bankruptcy of MKB Certification earlier this year. As a consequence, only one party has remained on the market for the certification of IM recovery companies. Broken-down vehicles that represent a risk to other traffic must be removed from the road before breakdown assistance can be provided. This is the message of the procedure laid down by Rijkswaterstaat for dealing with reports of broken-down vehicles involving passenger cars. Over the coming months, Stichting Incident Management Nederland will be carrying out inspections among IM recovery companies. All IM recovery companies can expect to receive callouts, but upon arriving at the incident instead of a broken-down vehicle they will be met by an inspector from ViaNorm, who will offer proof of his identity. During the second quarter of 2013, car recovery companies achieved excellent arrival times in removing cars from motorways and other major roads (the IM roads). Nationally, 12,186 recoveries were undertaken with an average response time of 13:41 minutes, more than one minute faster than during the first quarter of the year. Rijkswaterstaat is working to drastically reduce the number of breakdown movements on motorways. The measure is a way to save money. During the first quarter of 2013, recovery companies carried out 6,978 breakdown movements on behalf of Rijkswaterstaat. This represented a fall of almost 35% as compared to the same quarter in 2012, when 10,433 vehicles were moved. On 1 April 2013, Stichting Incident Management Nederland was forced to accept the departure of a number of the fastest and best recovery companies in the Netherlands. During the tender procedure for recovery agreements for the contract period 2013 - 2016, many recovery companies failed to retain their position. Today Stichting Incident Management Nederland has launched an english version of its website about the organization and execution of car recovery operations on Dutch trunk roads. The english language webpages offer Stichting Incident Management Nederland and its partners a unique tool to explain the Dutch system of incident management to non-Dutch speakers. This year, Stichting Incident Management Nederland will be introducing a system for passing on IM reports as text messages on smartphones. This system, known as the Electronic Reporting System Incident Management ("EMI"), sends every IM report as an electronic message to a phone designated by the recovery company. Stichting Incident Management Nederland has decided that already issued certificates for the training Safe Roadside Work Practices (Veilig Werken langs de Weg) will remain valid at least until 1 April 2016. This also applies if the course was followed as part of the Light Recovery. training programme. The Arrival time system Incident Management ("AIM") has been fully revamped over the past few months. This complete renovation means that the system now operates faster and can be more easily managed. The number of IM reports once again rose, in 2012. The 93 Dutch IM recovery companies received a total of 81,425 callouts, 8% more than in 2011, when the Incident Management Coordination Centre ("LCM") of the Stichting Incident Management Nederland passed on 75,711 incident reports. The growth rate, however, was clearly lower than in previous years. In 2010 and 2011, the growth figures amounted to 18% and 12%, respectively. In 2013, Incident Management (IM) will be introduced on more than 500 kilometres of provincial roads in the northern half of the Netherlands. In practical terms, this step means that, starting on 1 April 2013, all recovery work on the affected road sections will become the responsibility of recovery companies contracted by Stichting Incident Management Nederland. In the last quarter of 2012, the average arrival time for a recovery vehicle on the trunk road network was more than a minute longer than in the preceding quarters. In the last quarter of the year, IM recovery companies dealt with 14,008 IM callouts. The average arrival time was 14 minutes and 32 seconds. Stichting Incident Management Nederland has now concluded the tendering procedure for the selection of IM recovery companies for the period 2013 - 2016. Over the past few days, the Appeals Committee has announced its findings in appeals submitted against the initial awarding decisions in 25 of the 207 IM districts. Peter Varenkamp is the newly-appointed board member of Stichting Incident Management Nederland, on behalf of the VHD Alarmcentrale. Peter Varenkamp (51) succeeded Peter van der Sluis as Director of Europ Assistance Nederland, in October 2012. In August of this year, he was responsible for the business becoming independent of the world-wide Europ Assistance organisation. The reconstruction of motorways over the past few years has resulted at various locations in a sharp downturn in the number of road traffic accidents. This is revealed in a report from Stichting Incident Management Nederland about the number of road traffic accidents on motorways in the period 2009 - 2011. In the third quarter of 2013, car drivers had no reason to complain about the performance of recovery companies on the trunk road network. The 94 recovery companies on IM roads received a total of 15,612 orders to recover vehicles from the roadside. On average, it took the recovery vehicles just 13 minutes and 27 seconds to arrive at the scene of the incident, following receipt of the incident notice. On 28 September 2012, by registered letter, Stichting Incident Management Nederland informed all participants in the Tender procedure 2013 - 2016 of the provisional awarding decisions taken so far. Stakeholders in every district are able to appeal against these decisions until 1 November 2012 inclusive (for details see the Appeals Regulations). The recovery companies operating on the trunk road network delivered a superb level of performance in the second quarter of 2012. 15,531 recovery operations were undertaken. The average arrival time in response to the callout reports was 13:05 minutes (11:17 minutes following correction for delays as a result of traffic congestion). The deadline for responding to the tender procedure for vehicle recovery work on IM roads for the contract period 2013 - 2016 passed at midnight on Tuesday. Stichting Incident Management Nederland has received 393 offers from 113 recovery companies. In the tender procedure for the period 2010 - 2013, 391 offers were received. Effective from on 1 May last, the Dutch Accreditation Council (RvA) suspended the accreditation of MKB Certificatie for all certification work. As a result, as from 1 May 2012, MKB Certificatie is no longer permitted to issue any new certificates or updates of existing certificates. On 16 July last, Stichting Incident Management Nederland issued approval to the Transport Academy in Son (Noord-Brabant) as a training institute for light recovery. The Transport Academy provides a training course for the recovery of passenger vehicles. Stichting Incident Management Nederland carried out an audit, the results of which revealed that there are no grounds for objection to approval of the training programme, on the basis of the relevant applicable criteria. On 25 June last, the Court of Amsterdam banned the bonus-penalty scheme contained in the Tender procedure regulations 2013 - 2016 of Stichting Incident Management Nederland. As a result of this judgement, Stichting Incident Management Nederland has been forced to revise the Tender procedure regulations 2013 - 2016 and the Recovery company agreement 2013 - 2016. The bonus-penalty scheme has been scrapped entirely. The recovery companies operating on the Dutch trunk road network once again achieved faster arrival times during the first quarter of 2012. The 94 recovery companies operating on IM roads responded to 15,839 callouts. The average arrival time was 13:27 minutes. Corrected for delays as a result of traffic congestion, the average arrival time was 11:34 minutes. These figures have remained unchanged for the past three quarters. Stichting Incident Management Nederland today launched Bergerview Mobile. Bergerview is the application available to the IM recovery companies for monitoring their vehicles and analysing incidents. 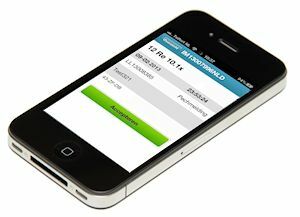 Bergerview Mobiel makes this application accessible on smartphones and tablets. The mobile version has limited functions. reported accidents fell by 17% in just one year. Between 2007 and 2011, the number of IM reports rose by 67%. In some parts of the country, however, this growth was barely noticeable. This imbalance is revealed in an analysis undertaken by Stichting Incident Management Nederland into the development of all types of IM report per district in the period 2007 - 2011. Today, Stichting Incident Management Nederland has published the tender documents for the tender procedure for Recovery company agreements for the period 1 April 2013 through to 31 March 2016. Any interested parties are called upon to study these documents and to participate in the tender procedure. In 2011, the number of incident reports on IM roads rose for the fifth successive year by more than 10%. The LCM dealt with 75,736 IM reports, a rise of 12% as compared to 2010. The rise was caused by a rapid increase in the number of breakdown movements: from 26,766 in 2010 to 34,846 (+ 30%) in 2011. 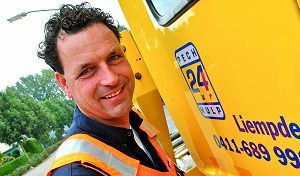 Stichting Incident Management Nederland has decided to maintain its approval of the existing four recovery training programmes. 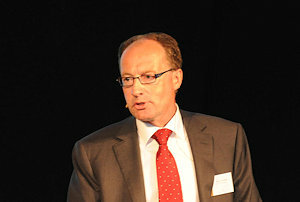 The programmes in question for light recovery are provided by Van Amerongen Berging (formerly Logicx), Opcedo, Stichting Mobiliteit Opleidingen ("STIMO") and SOMA Bedrijfsopleidingen. 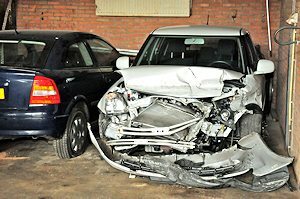 Once again in the fourth quarter of 2011, recovery companies were the strongest link in the chain of emergency assistance providers responsible for clearing away the damage following road traffic accidents on motorways. The contracted IM recovery companies were called out 15,626 times to carry out a recovery operation. They achieved an average arrival time of 13:35 minutes. Earlier this month, Statistics Netherlands (CBS) announced the price index figure for professional goods transport by road, in 2011. The annual change for 2011 was identified at 3.4%. 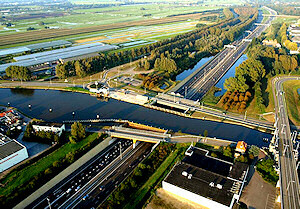 In 2011, the northbound carriageway of the Gouwe Aqueduct was the most dangerous section of road in the Netherlands. The aqueduct forms part of the A12 left between hectometre markers 27.0 and 28.0. At this point, the A20 motorway to Rotterdam splits off from the A12 motorway to The Hague. The Dutch Association of Chief Constables has called upon all police incident rooms to continue to systematically notify the LCM of all accident reports on IM roads. The Association sent a letter at the end of last year to all police forces in which this instruction was unequivocally issued. During the third quarter of 2011, car recovery companies on the Dutch trunk road system once more achieved excellent arrival times. The average arrival time at 13:29 minutes was slightly shorter than in the previous quarter. Roadside inspections have revealed that more than one in thirty IM recovery companies do not have the required certificates. It was also determined that one in forty recovery companies deploy a vehicle for a recovery order on the trunk road network that does not comply with the requirements imposed. During the third quarter of 2011, standby-recovery companies achieved a time gain of almost six minutes as compared to the performance achieved by IM recovery companies in 2010. Since 10 July of this year, eight recovery vehicles have been positioned on standby during the morning and evening rush hours, at strategic roadside locations. 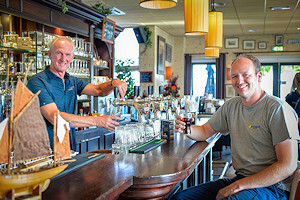 Col Collewijn is a recovery service operator in Nuis, Groningen. 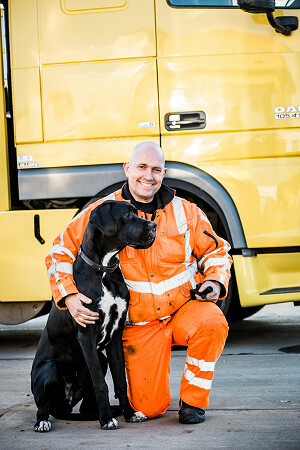 He is the only blind car recovery company owner in the Netherlands and probably anywhere in the world. 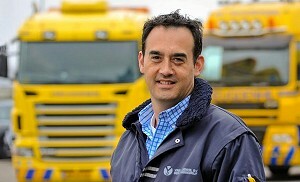 He is also one of the country's best recovery operators. Today, Ivo Wildenberg and Michel de Korte, secretary and IM coordinator of Stichting Incident Management Nederland, presented him a certificate in honour of his extremely fast arrival times achieved over the past five quarters. The Arrival Time System Incident Management (AIM) operated by Stichting Incident Management Nederland was today the proud recipient of an Excellence Award at the annual world conference of the Oracle Corporation. The prize was presented today in San Francisco to Hans Verlouw of Geodan, the technology partner of Stichting Incident Management Nederland. 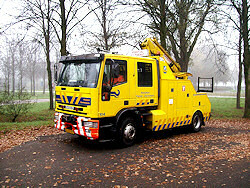 Starting on 1 October 2011, RTL 7 will be broadcasting a weekly television programme about vehicle recovery companies, entitled Heroes of the Road (Helden van de Weg). The programme will follow the day-to-day work of a number of recovery drivers. The drivers featured are employees of five different recovery companies. The 93 IM recovery companies form a reliable network available 24 hours a day to immediately swing into action following incidents on the 4,500 kilometres of trunk road. They are the stewards of the trunk road network. 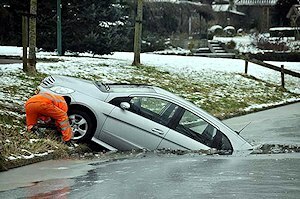 In the second quarter of 2011, in total, the IM recovery companies processed 18,991 reports of accidents, broken-down vehicles at hazardous locations or cars abandoned at the roadside. 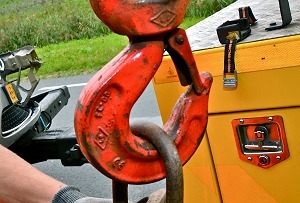 On 1 October 2011, the Province of Noord-Holland will be expanding the road network subject to incident management. Approximately 40 km will be added to the network initially established in 2007. The new roads are municipal roads in Haarlem, Bloemendaal, Zandvoort, Alkmaar, Zaanstad and Hilversum. Over the next few months, Stichting Incident Management Nederland will be organising inspections of recovery vehicles and recovery drivers. In response to one or more IM reports, when arriving at the scene of the incident, all 88 certified IM recovery companies will not find a damaged vehicle, but an employee of Vianorm, the company responsible for carrying out the inspections. Stichting Incident Management Nederland has entered into agreements with seven recovery companies in the framework of the Tender procedure for Standby recovery companies 2011 - 2012. On 24 May 2011, the companies in question came out as winners for the eight standby locations to be awarded. 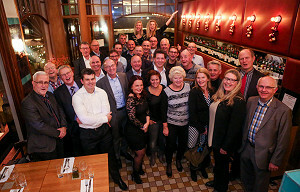 On 19 May, during a celebration event in Amersfoort, Stichting Incident Management Nederland thanked the Dutch IM recovery companies for their efforts and professionalism. 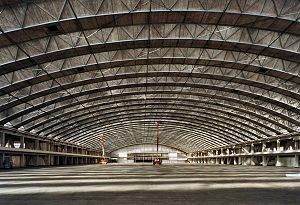 From around three thirty in the afternoon, more than two hundred visitors arrived for the IM 2011 event at the Rijtuigenloods in Amersfoort. 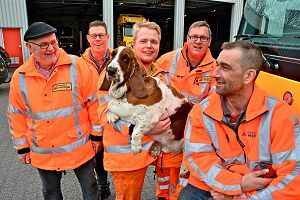 Among the visitors were representatives of practically all 93 recovery companies currently responsible for keeping the motorways and other trunk roads in the Netherlands clear. The invited guests included representatives of Rijkswaterstaat, the Police and the Dutch emergency assistance centres. Sixteen companies have submitted a bid in the framework of the Tender procedure for Standby recovery companies 2011 - 2012. All sixteen were Dutch recovery companies. Companies were invited to tender for one or two standby locations. In total, 21 bids were received for the eight locations to be awarded. 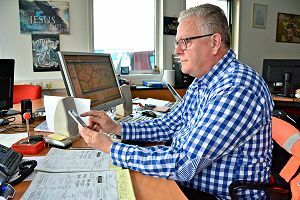 During the first quarter of 2011, the best arrival times ever in the history of Stichting Incident Management Nederland were achieved. The average arrival time for the almost 13,000 callouts in this quarter amounted to 13 minutes and 46 seconds. Over the past few weeks, a number of companies have asked questions about the documents relating to the Tender procedure Standby recovery companies 2011 - 2012. Following the publication of an initial Information Memorandum on 27 April last, Stichting Incident Management Nederland has today published a Second Information Memorandum. On Monday 23 May 2011, Stichting Incident Management Nederland will be launching an entirely updated version of Bergerview. Bergerview is the application available to IM recovery companies since 1 April 2007, to allow them to trace their IM vehicles and analyse the progress of incidents. Today, Stichting Incident Management Nederland has published the tender procedure documents relating to the European tender procedure for standby recovery vehicles at eight locations for the period 1 July 2011 through to 31 December 2012. The majority of car accidents occur during the evening rush hour. The risk of an accident is greatest in the late evening and night-time. These facts emerged from an analysis of accidents reported to the Incident Management Coordination Centre (LCM) of Stichting Incident Management Nederland, in 2010. 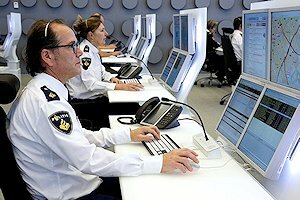 The Incident Management Coordination Centre ("LCM") of Stichting Incident Management Nederland ("Stichting Incident Management Nederland") continues to receive ever less reports from the police control rooms. While the total number of car accidents has remained stable over the past few years, the number of reports to the LCM via the police has fallen considerably. 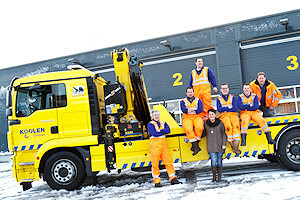 The abundant snowfall in December 2010 led to a busy period for the Dutch car recovery companies. Slippery roads and numerous collisions, however, caused practically no increase in arrival times. 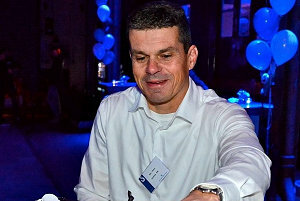 On 1 February 2011, Ivo van Dijk (43), the new director of SOS International, was appointed board member of Stichting Incident Management Nederland. 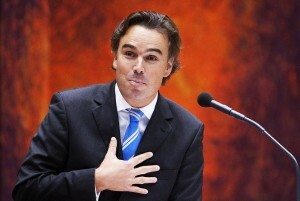 He succeeds Guido Horst who stepped down from the board on 31 December 2010. 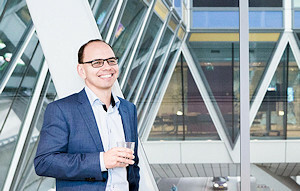 Ivo van Dijk previously occupied a number of positions at health care insurance companies, and was most recently responsible for the medical insurance business of ASR Nederland. In 2010, recovery companies responded on 67,326 occasions to clear motorways and other trunk roads of stranded vehicles. This represents a rise of 18% as compared to 2009. In that year, the Incident Management Coordination Centre (LCM) of Stichting Incident Management Nederland issued 57,251 recovery orders. Today, Stichting Incident Management Nederland has published a detailed map showing the location and district layout of all IM roads in the Netherlands. 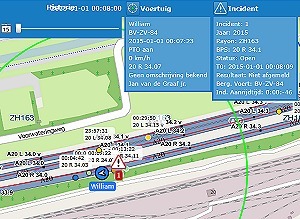 This map will enable recovery companies and other emergency services to localise incident reports on the road and the Stichting Incident Management Nederland district map, with great accuracy. Once again in the third quarter of 2010, the Dutch IM recovery companies delivered superb performances. For all 12,394 IM recovery operations registered, including the recoveries at 4 a.m. on the Afsluitdijk, an average arrival time of 14:43 minutes was registered. 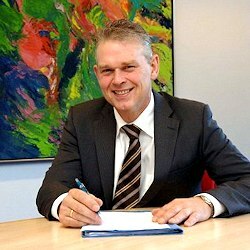 On 9 November 2010, Stichting Incident Management Nederland received news that Jan van de Graaf, director of the Rotterdam recovery company of the same name had passed away, in Rotterdam. Many recovery companies have responded to reports about arrival times in every district in the second quarter of 2010. In a number of districts the response has led to minor alterations to the previously reported figures. The definitive report for each recovery company has now been published on their own page on the Stichting Incident Management Nederland website. Quality inspections were carried out over the past few months at all recovery companies operating on the motorway system. In total, 124 inspections were carried out. During the second half of 2009, the A10 and A20 motorways were the accident hotspots per kilometre in the Netherlands. 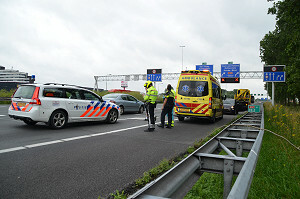 On the two carriageways of the A20, a total of 298 accidents were reported between hectometre markers 20.1 (Vlaardingen-West) and 40.0 (Capelle-Schollevaar). As from today, the site of Stichting Incident Management Nederland includes a detailed map of the district layout used by the LCM for passing on police reports on the underlying road network. On 1 October 2010, the Province of Limburg intends to introduce incident management on a number of provincial roads. These roads have been allocated to districts by Stichting Incident Management Nederland, according to the table featured below1. In practical terms, this step means that from 1 October 2010, recovery work on the specified road sections will be awarded to the recovery companies contracted by Stichting Incident Management Nederland. Over the next few months, Stichting Incident Management Nederland will be carrying out inspections throughout the country, at recovery companies. The LCM will call out recovery companies to a roadside location where they will however not arrive at an incident but instead will find an observer appointed by Stichting Incident Management Nederland. In Q1 - 2010, the final quarter of the contract period 2007 - 2010, many recovery companies put their best foot forward. In 30 districts, good to very good arrival times were achieved. It was noticeable that solid performances were also delivered by a number of recovery companies that already knew that they would be losing their district after 31 March 2010. "It is safer on the roads now than in the past. Thanks to intensive speed monitoring and traffic control via matrix signs, major pile-ups are more or less a thing of a past. And roads are cleared much more quickly following an incident. Incident management massively improves through-flow." And Kees Bot should know. 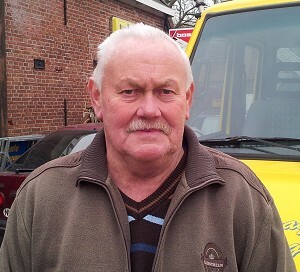 After 43 years in the recovery business at Autoschade Van Wijngaarden in Papendrecht, the 61 year-old recovery veteran took early retirement, on 1 April. In 2009, districts ZH163 and NH135 were once again the busiest IM districts in the country. On the motorways around Kralingen in district ZH163 (A16, A20 and Terbregseplein), 2,921 incident reports were dealt with, 15% more than in 2008. On the motorways around the Bijlmer in district NH135 (A1, A2, A6, A9 and A10), a total of 1,920 incidents were reported, representing a 14% rise as compared to 2008. In the fourth quarter of the year, remarkably good arrival times were achieved in 23 districts. An overview of the districts and the companies responsible for those arrival times appears in the list below. During the third quarter of 2009, recovery companies in 26 districts stood out for their excellent arrival times. 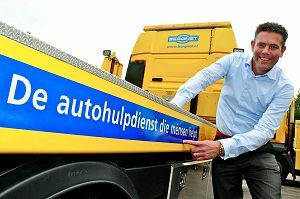 Once again the Brabant-based recovery companies were frontrunners. Accident Control, Bergingsdienst.nl, Logicx Roosendaal and Sprankenis, just like in most previous quarters, headed the list of fast recovery companies with more than one district. The Appeals Committee for the Tender procedure for 2010 - 2013 of Stichting Incident Management Nederland passed its final judgement on 29 January. Stichting Incident Management Nederland has now taken the definitive awarding decisions in all districts, taking account of the decisions by the Committee. This brings to an end the tender procedure for recovery company agreements for the recovery of passenger vehicles on IM roads for the period 1 April 2010 through to 31 March 2013. In 2009, the number of IM reports rose by 11% as compared to 2008. In 2009, the LCM dealt with 57,267 reports on IM roads. In 2008, the count reached 51,868. Three-quarters of the rise was due to an increase in the number of breakdown tows. 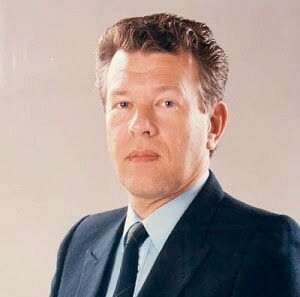 For more than 30 years, Harry Dekker was the face and the voice of the Incident Management Coordination Centre (LCM). In the nineteen eighties, he was one of the originators of the idea of the system that offers police and road managers a simple solution for reporting vehicle incidents. He than played a role in drawing up procedures for the emergency assistance centre, laying down the district boundaries for recovery companies, dealing with complaints and, as the need arose, taking receipt of incident reports. 1 November last saw the closure of the deadline for submitting letters of appeal in the framework of the tender procedure for recovery company agreements for passenger vehicles for the period 2010 - 2013. In total, Stichting Incident Management Nederland received 22 letters of appeal. Tender procedure 2010 - 2013 by registered post of the provisional awarding decisions taken. If no appeal is submitted against the provisional decision taken in a given district, the awarding will become definitive on 2 November. In the autumn of 2009, Stichting Incident Management Nederland will be having practical inspections carried out into the quality of recovery work on IM roads. These inspections will focus on a variety of aspects of business operation. In the second quarter of 2009, excellent arrival times were only achieved in 21 districts. On a national scale, a slight worsening as compared with previous quarters occurred. The registration deadline for the tender procedure for recovery work on IM roads for the contract period 2010 - 2013 drew to a close on 31 July last. Stichting Incident Management Nederland received 391 bids from 121 recovery companies. Bids were received for all 191 districts currently containing IM roads. The list of fast-working recovery companies for the first quarter of 2009 contains many well-known names, as well as a few new faces. In response to questions from recovery companies, Stichting Incident Management Nederland has decided to add a clarification to the text of the previously published Tender procedure regulations 2010 - 2013. 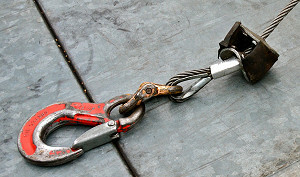 The recovery sector has pointed out to Stichting Incident Management Nederland the very limited availability on the market of high-speed dollies with a capacity of 1,500 kg or more. Based on its own investigations, Stichting Incident Management Nederland has been able to confirm that this observation is accurate. The number of incident reports on IM roads rose further in 2008. In 2008, the Incident Management Coordination Centre (LCM) of Stichting Incident Management Nederland recorded a total of 51,860 reports on the IM network. De Stichting Incident Management Nederland publiceert vandaag de tendersdocumenten voor de tender van Bergingsovereenkomsten voor de periode van 1 april 2010 - 31 maart 2013. 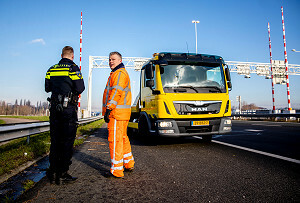 Stichting Incident Management Nederland and the VBS (Association of Recovery Specialists) have been consulting with Rijkswaterstaat and a representative of the provinces on the introduction of incident management on the underlying road network. Two important agreements were reached in these discussions. During the fourth quarter of the year, recovery companies active on the trunk road network did not become any faster. The number of districts in which an excellent performance was achieved fell from 53 in the third quarter to 31 in the fourth quarter. Stichting Incident Management Nederland has decided to transfer operation of the Incident Management Coordination Centre (LCM) to Mondial Assistance (Mondial) as from 1 July 2009. Statistics Netherlands (the CBS) today issued its price index figure for professional goods transport by road in 2008. The annual change in 2008 was set at 4.4%. 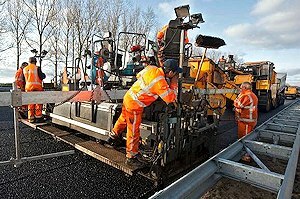 This means that starting on 1 April 2009, the charges for recovery work on IM roads can be raised by 4.4%. 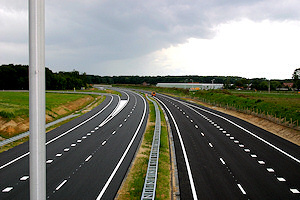 The Province of Noord-Brabant will be substantially increasing the provincial road network subject to incident management, on 1 April 2009. The new road sections subject to incident management have been placed by Stichting Incident Management Nederland in districts, according to the table below11. On provincial roads in Noord-Brabant for which incident management was introduced in the past, the existing district layout will remain in force. The recovery companies on the trunk road network have once again become even faster. In many districts, a clear fall was achieved in average arrival times. The number of districts in which an excellent performance was provided rose from 48 in the second quarter to 53 in the third quarter. An overview of these districts appears in the table below. Accidents above all occur during the evening rush hour and on Thursday and Friday. These facts were reflected in an analysis of incident reports received by Stichting Incident Management Nederland in 2007. 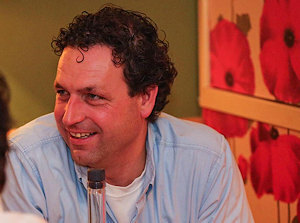 As from 1 July 2009, Michel de Korte will take on the position of IM coordinator at Stichting Incident Management Nederland. He will be given an important role in maintaining contacts between Stichting Incident Management Nederland and road managers, police forces, the ANWB car owners club and other collaboration partners. For the correct functioning of the Arrival Times System Incident Management (AIM), it is essential that IM recovery companies keep Stichting Incident Management Nederland up to date on the composition of their fleet of certified vehicles. If they fail to do so, new vehicles or vehicles with new Momos cannot be monitored. The agreement between Stichting Incident Management Nederland (Stichting Incident Management Nederland) and the VerzekeraarsHulpdienst (VHD) on the operation of the Incident Management Coordination Centre Landelijk Centraal Meldpunt ("LCM") is due to expire on 30 June 2009. The agreement relates only to recovery activities involving passenger vehicles in respect of dealing with reports on both IM roads and reports on the underlying road network. 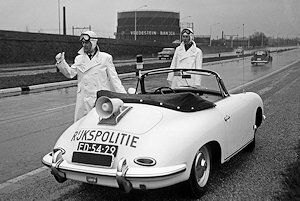 On 1 October 2008, Rijkswaterstaat will be switching to centralising and streamlining the activities relating to the management of abandoned vehicles. This refers to all vehicles recovered on the basis of an IM order from the Incident Management Coordination Centre, and for which, following recovery, no paying client can be identified. On 1 October 2008, the Province of Utrecht is to introduce incident management on a number of important transit routes. At the same time, the Province of Overijssel and, on a smaller scale, the Province of Gelderland and the Municipality of The Hague will undertake to expand the network subject to incident management regulations. In the second quarter of 2008, excellent arrival times were achieved in 48 districts, for carrying out recovery work on motorways and other roads subject to incident management regulations. This performance was calculated from the measurements in the Arrival Times System Incident Management (AIM). In 2007, more than 45,600 recovery orders were issued by Stichting Incident Management Nederland in the framework of incident management. This total is slightly higher than the previously published figure. The figure represents a rise of more than 35% as compared to the total in 2005, when more than 33,000 IM orders were issued. 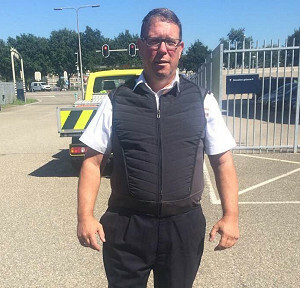 Stichting Incident Management Nederland has decided to issue formal approval of the Light Vehicle Recovery training programme provided by Opcedo, a training institute in Donkerbroek. Over the past few months, Stichting Incident Management Nederland has investigated whether the training initiative by Opcedo meets the criteria formulated by Stichting Incident Management Nederland for the approval of recovery training courses. Recovery companies worked faster in the first quarter of 2008 than in the previous quarters. A clear fall was observed in the average arrival times for recoveries carried out on motorways and other roads subject to incident management (IM). 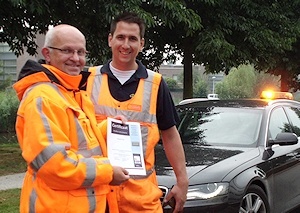 Rijkswaterstaat has taken the initiative to carry out a trial with rewards for fast recovery operators. As part of this trial, selected companies are entitled to a bonus for every recovery order in which they achieve an arrival time of less than 18 minutes. 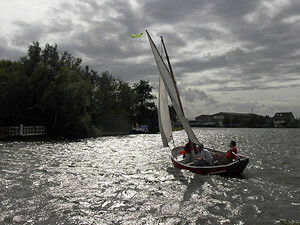 The trial will run between 1 May and 31 July 2008 and will be implemented by Stichting Incident Management Nederland. Six recovery companies have been selected for the trial, all of which achieved excellent arrival times in the fourth quarter of 2007. The annual change in 2007 to the price index figure for professional goods transport was set by the CBS (Statistics Netherlands) at 2.2%. This means that charges for recovery work on IM roads may be raised by 2.2% as from 1 April 2008, in accordance with article 6.4 of the Recovery agreement. The Province of Overijssel and the City Region Twente have decided to introduce incident management on a series of roads, starting on 1 April 2008. These roads have been allocated to districts by Stichting Incident Management Nederland, according to the following table. Since 1 April 2007, IM recovery companies have been able to monitor their own vehicles online, using the so-called Bergerview system. This is an application supplied by Stichting Incident Management Nederland. Bergerview makes use of the location details collected and transmitted by the GPS units (Momos) in each IM-approved recovery vehicle. The Municipality of Rotterdam and the Havenbedrijf Rotterdam NV have agreed to introduce incident management on specified roads, starting on 1 April 2008. These roads have been allocated to districts by Stichting Incident Management Nederland, according to the following table. Over the past few months, Stichting Incident Management Nederland, the ANWB car owners club, Rijkswaterstaat and the Association of Recovery Specialists (VBS) have been discussing the distribution of tasks between IM recovery companies and breakdown assistance providers on IM roads. These discussions have resulted in a number of working agreements underwritten by all parties. In the fourth quarter of 2007, excellent arrival times were achieved in 28 districts, for the implementation of recovery work on motorways and other roads subject to incident management. This is evidenced by measurements from the Arrival Times System Incident Management (AIM). Earlier this year, Stichting Incident Management Nederland consulted with the Dutch Police Institute on the role of the Police in reporting incidents and the issuing of orders for recovery work. These consultations have led to a decision by the Board of Chief Commissioners on this subject. This decision was notified to the various police forces by the Board, in a letter dated 26 April last. In the third quarter of 2007, recovery companies in 20 districts achieved excellent arrival times. This is evidenced by the measurements from the Arrival Times System Incident Management (AIM). An overview of these districts and the locally-operating companies appears in the geographically-ordered table below. Stichting Incident Management Nederland wishes to thank the listed companies for their dedication and congratulate them on the results achieved. 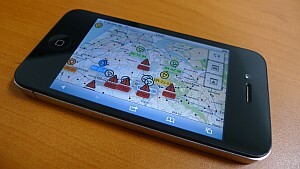 Since 1 April 2007, the certified vehicles of all IM recovery companies have been equipped with GPS receivers (Momos). These Momos ensure that the arrival times achieved can be automatically registered for every recovery callout. Responsibility for the correct functioning of the Momos is a matter for the recovery company. 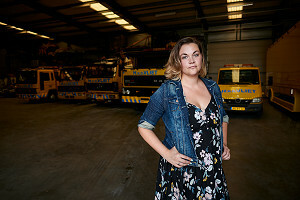 Over the past few months, Stichting Incident Management Nederland has been faced with complaints about invoices charged to car drivers by IM recovery companies. Most complaints were received from owners of abandoned vehicles and broken-down vehicles. Two disruptions occurred this week in the Arrival Times System Incident Management (AIM). The problems have now been corrected. We ask for your understanding for these difficulties. Over the coming months, Stichting Incident Management Nederland will be carrying out quality inspections in respect of the implementation of recovery work on IM roads. The inspections will be unannounced. They will focus on the use of certified equipment, trained personnel and the wearing of the specified personal protective equipment. The Arrival Times System Incident Management (AIM) failed to supply sufficient figures in the first quarter of the contract period 2007 - 2010 to arrive at a well-founded evaluation of the contracted recovery companies. For that reason, on the basis of article 5.3.8 of the Recovery agreement, Stichting Incident Management Nederland has decided to not record any scores for the first quarter of the contract period for arrival times achieved by its contracted recovery companies. On 1 October 2007, the Province of Zuid-Holland will be introducing incident management on a number of provincial roads. These roads have been allocated by Stichting Incident Management Nederland to districts according to the table below (1). On 1 January 2008 next, the new section of the A73 South motorway between the Zaaderheiken intersection and the connection with the A2 motorway at Echt will be officially opened. In connection with an IM exercise in December 2007, reports may already be issued in the course of that month. 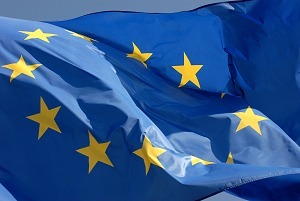 On 25 May last, the Verzekeraarshulpdienst and Europ Assistance Nederland joined forces under the combined name Verzekeraarshulpdienst Holding BV. On 1 June 2007, the Province of Noord-Holland will be introducing incident management on a number of provincial roads. The roads have been allocated to districts by Stichting Incident Management Nederland according to the table below (1). 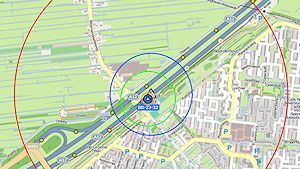 The purchase and installation of GPS equipment for the Arrival Times System Incident Management (AIM), as you are aware, has been financially supported by Rijkswaterstaat. The compensation scheme for these systems will be terminated, as from 30 June 2007. Stichting Incident Management Nederland commissioned the Arrival Times System Incident Management (AIM) today. The system automatically registers arrival times for all recovery operations undertaken on IM roads, and also monitors whether recovery operations are carried out using certified equipment. As from 15 March 2007, the management of the vehicle register of the arrival times system operated by Stichting Incident Management Nederland will be transferred to the Incident Management Coordination Centre. 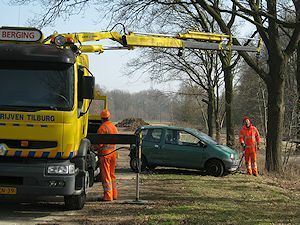 On 1 April 2007, the Province of Zuid-Holland will be introducing incident management on a number of provincial roads. The roads have been allocated to districts by Stichting Incident Management Nederland according to the table below (1). The recovery agreement states that during their work for Stichting Incident Management Nederland, recovery companies are able to incidentally make use of the services of a fellow recovery company, in order to solve temporary capacity problems. Rijkswaterstaat has decided to expand the facility for obtaining a contribution to the costs of installation of GPS units (Momos) in recovery vehicles. As you are aware, Rijkswaterstaat contributes € 750 to the installation of every Momo in certified vehicles of recovery companies contracted by Stichting Incident Management Nederland, for the period 2007 - 2010. The Appeals Committee of Stichting Incident Management Nederland has passed judgements in all appeals submitted in the framework of the tender procedure 2007 - 2010. On the basis of these judgements, definitive awarding decisions have been taken by Stichting Incident Management Nederland in all districts where no definitive decision had been taken as a consequence of the appeal process. The Appeals Committee of Stichting Incident Management Nederland has passed judgement in all appeals submitted in the framework of the Tender procedure 2007 - 2010. On the basis of these judgements, Stichting Incident Management Nederland has taken definitive awarding decisions in all districts in which no decision had yet been taken as a result of the appeal. 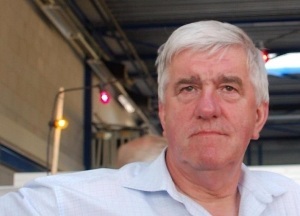 On 1 December last, Peter Eijkhout stepped down as member of the Board of Stichting Incident Management Nederland. 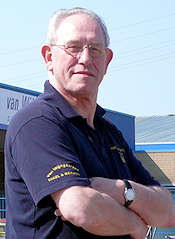 As director of the Schade Alarm Service (SAS), Peter Eijkhout was involved in the establishment of the Stichting in 1998. As from 1 January 2007, management of the N34 and N46 roads will be transferred by Rijkswaterstaat to the Provinces of Groningen and Drenthe. Only the section of the N46 between hectometre markers 1.9 and 4.5 will remain managed by Rijkswaterstaat. 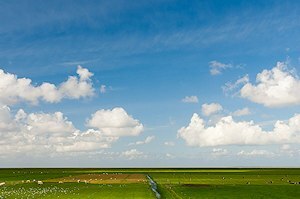 On 1 November last, the deadline for submitting appeals against provisional awarding decisions by Stichting Incident Management Nederland passed. 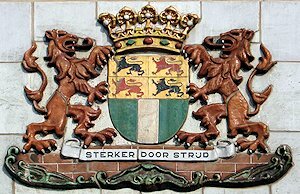 Because no appeal was submitted in most districts against the provisional decisions, Stichting Incident Management Nederland is able to announce definitive awards in these districts of a recovery agreement for the period 1 April 2007 through to 31 March 2010. On Thursday 28 September, by registered letter, Stichting Incident Management Nederland informed the interested parties in each district of the provisional awarding decisions in the framework of the tender procedure 2007 - 2010. An overview of the decisions taken appears in the tables below. Stichting Incident Management Nederland has decided to make changes to the originally-intended composition of the Appeals Committee. The Committee will now consist of just one independent person, namely Mr. J.S.W. Holtrop, Justice at the Court in The Hague and Chairman of the Regional Disciplinary Tribunal for Healthcare in Amsterdam. 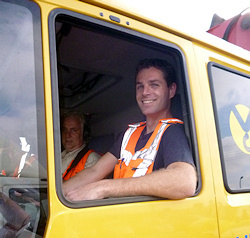 On 2 August 2006, Stichting Incident Management Nederland has decided to formally recognise the Basic Training Light Vehicle Recovery provided by Logicx BV. 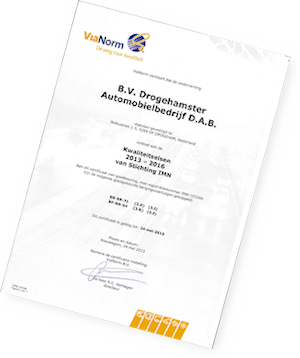 The examinations accompanying this course are held by T�v Nederland. The registration deadline for the open tender procedure for work in the framework of recovery of passenger vehicles on IM roads for the contract period 1 April 2007 - 31 March 2010 closed at midnight yesterday, 1 August. 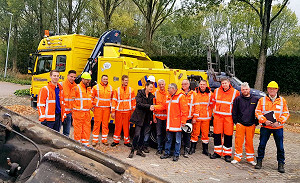 Stichting Incident Management Nederland has decided to formally recognise the Light Vehicle Recovery training programme provided by Stichting Mobiliteitsopleiding (STIMO). Over the past month, on behalf of Stichting Incident Management Nederland, the company ViaNorm has been carrying out quality inspections during recovery operations on IM roads and of the recovery companies responsible for those operations. 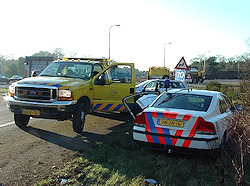 On 29 June last, Stichting Incident Management Nederland sent an invitation to all recovery companies known to the organisation to participate in the tender procedure for recovery work in the framework of recovery of passenger vehicles on IM roads for the period 1 April 2007 - 31 March 2010. The Stichting has imposed the requirement that all recovery operations undertaken on its behalf are carried out by drivers who have completed training for carrying out work in the framework of recovery of passenger vehicles on IM roads. On 26, 27 and 28 June 2006, Stichting Incident Management Nederland will be organising information meetings in connection with the next tender procedure. As from 1 April last, incident management was introduced by the Province of Noord-Holland on the following roads. As from 1 January 2007, a number of IM roads will be withdrawn in Zeeland. This change is a consequence of the fact that Rijkswaterstaat has decided to transfer management of a number of roads to the Province of Zeeland. For the time being, the Province has decided to not carry out incident management on these roads. Stichting Incident Management Nederland has received questions from recovery companies about the text of the previously published quality requirement 1C in respect of the insurance cover which recovery companies must take out to qualify for the awarding of contracts for the period 1 April 2007 - 31 March 2010. The text was not entirely clear to everyone. 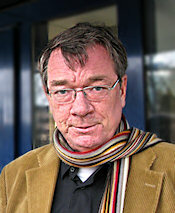 The Board of Stichting Incident Management Nederland elected Lex Mentink as its new chairman, on 13 December. 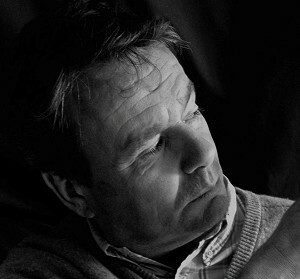 Lex P. Mentink (46) is director of Eurocross. Stichting Incident Management Nederland (SIMN) and the ANWB car owners club have recently consulted on the position of the ANWB on the Board of the SIMN. The district layout of Stichting Incident Management Nederland has been recorded in the document National District Layout 2010 - 2013. For every recovery district, this map provides a precise list of the road sections subject to incident management. This list is regularly updated on the basis of developments in the field of incident management application, in the Netherlands.